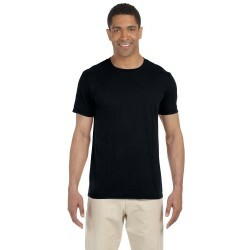 Today we are going to go over the top 5 cheapest online t-shirt printing companies to get you custom t-shirts printed. If you have ever searched online for a custom t-shirt printing company, then you have probably run across this website. They are one of the top t-shirt printing companies in the world. They are known for having great reviews and 100 % guaranteed satisfaction. They have a nice website to design your shirts and Free shipping. They are a great company to look into but not the cheapest on our list. This is another great company that offers 100% guaranteed satisfaction to their customers. You can create your own t-shirt store on their website also. You can find others people items for sale on spread shirt also. If you are looking to sell custom shirts online they may an option for you. Again as great as they are they didn't make it to the cheapest on our list. Just like the others, they have online design software and also advertise 100% guaranteed satisfaction. They are a well know company and a big hit online. They have tons of discounts and different items to choose from. Regardless if you need coffee mugs or fitness wear. They are close but did not cut it for the cheapest on our list. At Zazzle, you can get all sorts of items created. They have a large variety of custom cell phone cases that you can customize. They also have items like refrigerator magnets, coffee mugs, and calendars. They have a wide variety of items to choose from. They are definitely worth checking out but not the cheapest on our list. Finally what you have been waiting for. The cheapest is............ You guessed it. Need T-shirts now, that's us. We have awesome design software and have free shipping available. We strive to give our customers the most affordable prices. Your success is our success. We want our customers to be able to start their own clothing line, and have personalized shirts for their business, events etc. If you are looking for the cheapest look no further. Feel free to inquire about any of your t-shirt printing ideas. We also stepped outside the box, giving you the fastest turnaround time. We have a option to get your shirt printed in just 1 hour. That's right. It's possible to get your shirt today if you are local and tomorrow needs to be shipped.